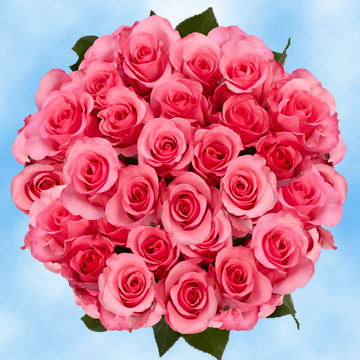 Dark Pink Roses, such as the Eliza rose, are truly emotional flowers. Their deep dark pink can foster images of true beautify or eternal love. 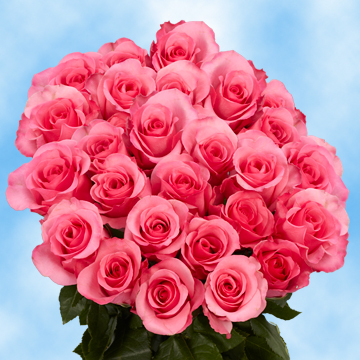 What makes these stand out from all of the other pink blossoms are its enchanting and spellbinding allure. 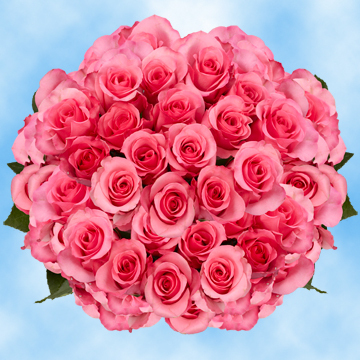 When used in a bouquet they will add touches of color unprecedented by any other rose. The message of tireless and unfailing love will be relayed to its recipient. 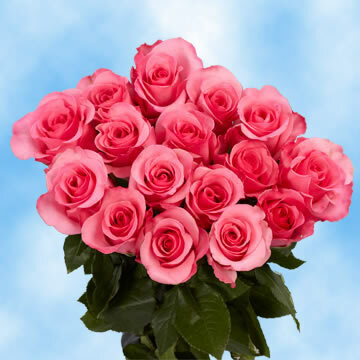 Your recipient will also feel that they are extremely beautiful as this florets symbolism is associated with magnificence. 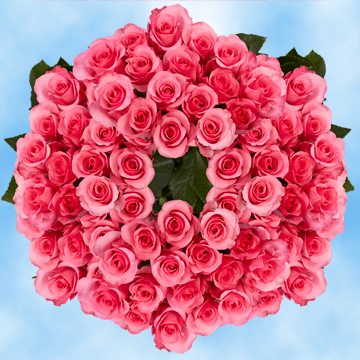 Globalrose.com is an industrial leader and strives to maintain its position as the standard of the floral world. We are able to provide you with Dark Pink Roses all year round, as our greenhouses are locations in all year round perfect localities. 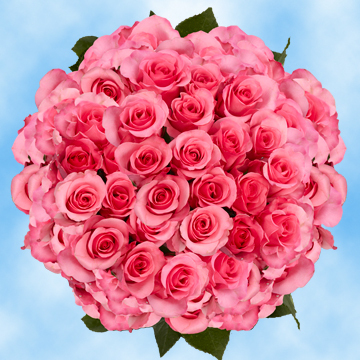 We do not just take growing flowers seriously, but also delivery. We choose to ship only with FedEx as they are the known for fast and precious shipping. When your order arrives at your doorstep their bulbs will be closed, but in less than seventy-two hours they will bloom into their full star shape.